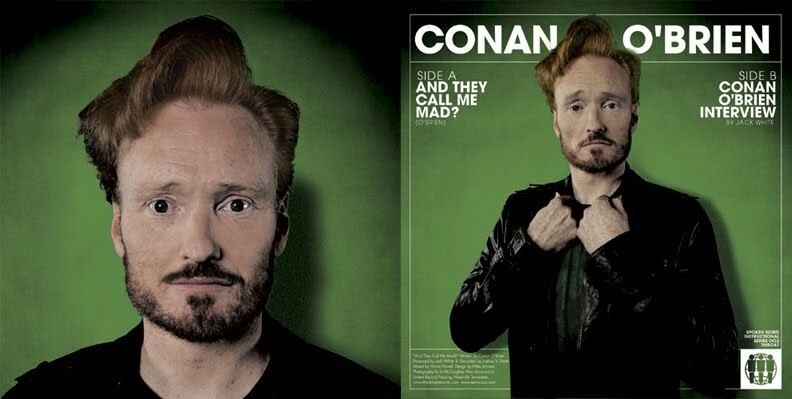 Back in June, Conan O’Brien stopped by Third Man Records and put on an unforgettable concert for 300 or so lucky fans. While he was there, he also recorded a 7” single with a hilarious mic check turned improvised Frankenstein story on one side ("And They Call Me Mad?") and an interview with Jack White on the other. For their vinyl single releases, Third Man presses 150 limited edition tri-color 45s, selling 100 of them at the store and slipping 50 into random online mail orders. 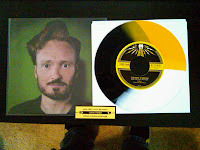 Black vinyl copies can be purchased online or at their store at any time. 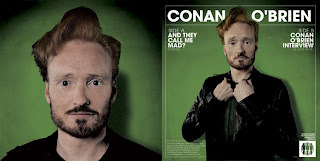 Usually the tri-colors run about $10 or so, but since Conan decided to donate his sales to a relief organization, these tri-colors went for $100. The proceeds are going to ReTune Nashville, a group that’s helping out uninsured musicians who were affected by the Nashville flood earlier this year. It was definitely worth taking a couple hours off from work and standing in the ridiculous heat to pick one of these bad boys up. Not only is it a really cool addition to my record collection, it’s always nice to see a company partner with those who give to people in need. It was also pretty cool of Third Man to hand out water and ice cream to all us sweaty messes in line! The only thing that makes these tri-color sales any better is when they take place in the fall and winter! You can order the black 7” single from Third Man Records here and you can find out more about ReTune Nashville here.